OK , life has been quite serious lately so I have decided to break format and blog about something different; movie sequels. 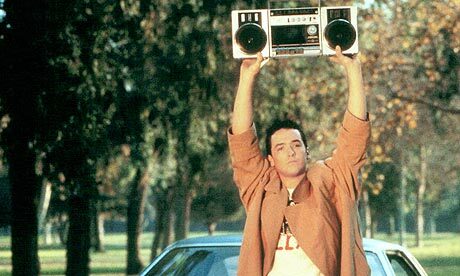 Over the weekend, director Cameron Crowe announced that he would like to do a sequel to “Say Anything” (one of the best films of the 80s). This got me to thinking…. what movies would I like to see sequels done to (if done well) and what would they look like. Here’s my initial thoughts…. Say Anything – I would love to see some more of Lloyd and Diane and where they are now. I think he loves and honors her and that would continue today. However, I think the tides have to turn a little. Always the need to succeed, I think Diane messes up and take Lloyd for granted (they have no kids by the way which leads to her insecurity). He gets hurt and the movie lends to her trying to get him back instead of him trying to get her like in their high school days. Love angst in the middle age years…..
Breakfast Club – Yes, John Hughes is gone but the cast is not and what better way to honor him than a sequel. The original goal was to do a sequel every ten years to follow the life of the teens which never happened but maybe it’s time for a 25 year reunion. I see Andrew and Allison married with kids. Claire and Bender dealing with memories of what got away and struggling with those while being married to others. And Brian? So many possibilities….. is he successful? fallen apart? was he using the school pressures to cover some other struggle that he finally comes to term with? Knight’s Tale – Would love to see it as William and crew get pulled into actual war along side the prince but alas, without Heath Ledger…… I don’t see this ever being done well with another actor. Letting this dream go….. The Usual Suspects – So what has old Keyser Söze been up to anyways? The Princess Bride – Best movie of all time…. so would love a sequel but in all honesty… doubt they could do it well…. Never mind…… best to leave that one alone. ET – What “Keys” was to Elliott…. Elliott needs to be to a new kid in a new generation as the little botanist comes back to earth for another visit. One request though… please don’t CGI ET. There is almost too much CGI anymore…. follow Winnie the Pooh’s example and do it old school. That little alien outfit has to be around somewhere. Labyrinth – It’s been 25 years…. It might be time for Sarah’s daughter to go through her own adventure with the Goblin King. What about you? What movies would you like to see sequels to?